AeroExpo UK can confirm that Powervamp will be providing their ground power units to support the Static Display Aircraft at the upcoming event at Sywell, UK. A large selection of 28VDC continuous power supplies and battery start units will be available to all aircraft at the show. Allowing demonstrations of all the aircrafts features to be displayed without draining the aircrafts on board battery. Powervamp Ltd has been supplying 28 volt DC and 400Hz AC ground power systems to the aviation industry since the mid-1990s, and is a recognised world leader in the market. A large number of Powervamp-built GPUs and power supply units are in use with both military and civilian aircraft and airport operators worldwide. The Powervamp all-weather aviation range of power packs is notable for its high power, modular design, rugged construction, ease of use and easy servicing. It is suitable for starting anything from the smallest single-engined helicopter or light aircraft to much larger turboprop and turbofan engines on corporate jets. 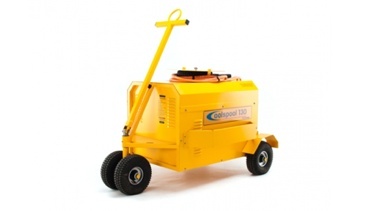 Self-contained generators are also available. Powervamp also supplies a range of related equipment including wiring harnesses, connectors, trolleys for handling multiple units, aircraft landing lights and has a division supplying rental GPUs and coolers to major air shows world-wide.